Washington, 03. September 2015. The US Circuit Court of Appeals has ruled that Nero is not punishable for patent infringement. JVC Kenwood Corp. had filed suit against Nero and other software providers in the state of California in 2012, claiming that the software makers' copying and burning solutions were allowing patents to be infringed. After the federal circuit court rejected the complaint, JVC sought an appeal to no avail. Specifically, JVC Kenwood Corp. had already argued in the first trial that the software users' infringement was enabled by Nero's indirect patent infringement. If the courts had ruled in favour of JVC, although royalties had already been paid by the manufacturers of the optical media used by end users, the users or Nero on their behalf would have had to reach deep into its pockets for the use of the software. The judge in the California district court rejected the lawsuit with a summary judgement and stated that JVC had already fully exploited its patent rights by the licensing of DVD and Blu-ray™ discs. Those using the software solutions to write or read discs would be no more guilty of a direct patent infringement than Nero would be of indirect patent infringement. JVC filed an appeal against the district court's ruling that was rejected by the Federal Court of Appeals, Washington D.C.. The court upheld the first ruling, establishing a precedent, and also ruled unanimously that t use of the software does not constitute a direct patent infringement by consumers, because they are using the software in connection with already licensed storage media. An indirect patent infringement by Nero was therefore also excluded. “We welcome the decision of the Federal Circuit Court of Appeals to uphold this precedent-setting judgement. The unanimous decision of the Federal Circuit clearly confirms our position in this matter. We see this as a clear signal for the industry," said Tristan Kleiner, General Counsel of Nero AG, commenting on the recent verdict. In fact, the verdict is likely to have a strong ripple effect on the software industry.Nero believes it will curb the future abuse of patent pool patents and prevent patent holders attempts to “double dip” i.e. claim more than one payment in a commercialization chain. Nero creates software that helps consumers around the world to simply enjoy their videos, photos and music. 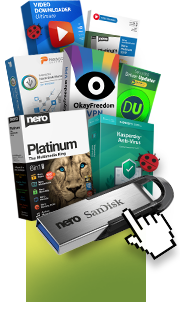 Nero produces widely used multimedia software, which contains powerful applications for media management, video playback, video editing, video converting, content syncing and disc burning. Nero BackItUp offers an innovative and easy-to-use concept for backup on PCs and mobile devices. Nero TuneItUp is a powerful and friendly PC clean-up utility that makes computers run faster, and keeps drivers and software up-to-date. Nero has offices in Karlsruhe, Germany; Glendale, Calif., USA; Yokohama, Japan; and Hangzhou, China. Learn more at www.nero.com. Nero and its product names are trademarks or registered trademarks of Nero AG. Other product and brand names may be trademarks or registered trademarks of their respective owners and do not imply affiliation with, sponsorship or endorsement by owners. © 2015 Nero AG. All rights reserved.